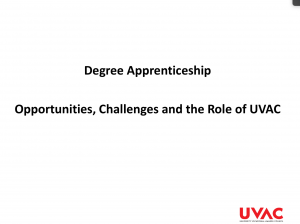 Universities UK, like many others in the higher and further education sector, are aware of the challenges and opportunities that the apprenticeship reforms and the growth of degree apprentices pose for its members. 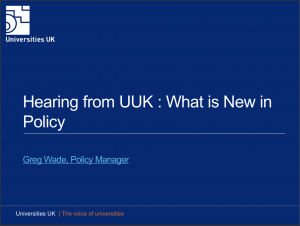 To help with this, they put on a one day conference/workshop on the 26th February, in the warm spring sunshine, to help universities and others to improve their understanding of the reforms and the opportunities they bring. There are 400 of the new Standards approved to date, of which 77 are at Level 6/7, and 59 lead to a degree or Masters. There has latterly been a big step-up recently in the rate of Standards being approved and there are 56 Standards in development at Level6/7. 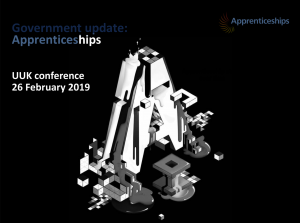 Confused by the these Apprenticeship Levels? – See this quick guide. Off-the-job training is an issues that the department are attending to. 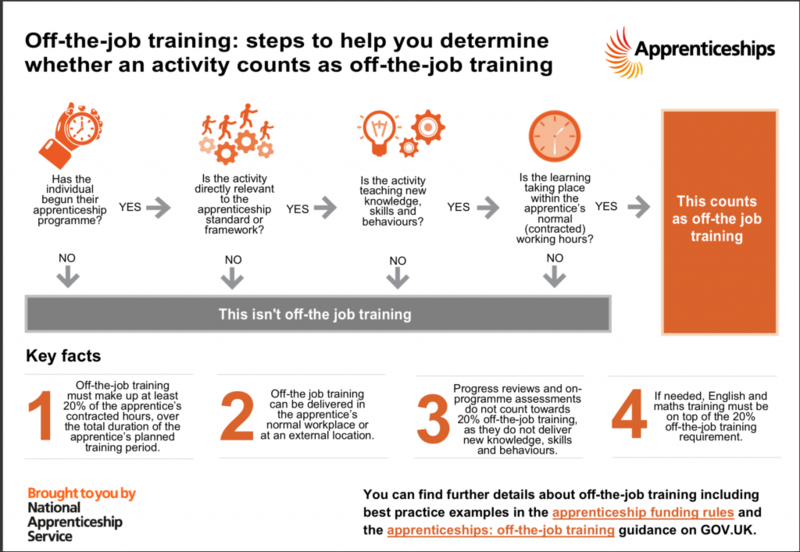 They have published new guidance recently to help employers and others understand what and what doesn’t count as off-the-job training. 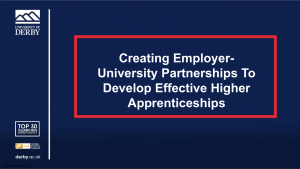 We also heard from the Derby University about their collaboration with Nottinghamshire Police to provide a degree apprenticeship Police Constable programme. Police recruitment is moving to a wholly degree recruitment by 2020, whether through being a graduate already both through programmes like this one. The force did some proactive recruiting and have a good representation on the programme from women and BAME people. The presentation was from the university side and also the Police, and they both stressed the importance of starting as soon as possible and building good and trustful relationships between the employer and the provider. It’s never too early to start, was the advice.